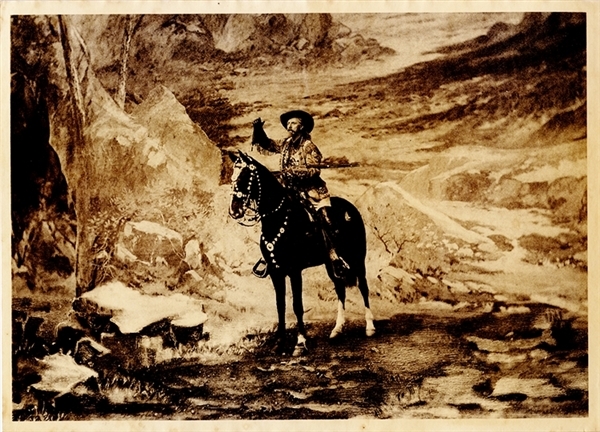 Print, 15” x 11”, of a mounted Cody, rifle cocked in his left arm, right arm raised, eyes focused toward the horizon as though he were back in the scouting days. He is dressed in his show attire as is his horse. The mountanous background is painted in. This image was shot at the Old Madison Square Garden with a painted background. Greyscale, near fine, and very unique.